Robinson Cano and Edwin Diaz headline the additions to Queens as the Amazins aim to stay afloat in the competitive NL East. Few National League teams last season could tout as strong a starting rotation as the Mets. The same could be said of how poorly the Amazins' bullpen pitched, as well as how mightily they struggled at the plate in 2018. The end result: a misleading 77-85 record in which they were one of the worst teams in baseball following a fantastic 11-1 start. But the 2019 edition of the Mets, who are observing the 50th anniversary of their incredible first World Series championship, seemingly made all the right moves to address their myriad deficiencies. Whether that will be enough to rise to the top of a crowded NL East remains to be seen. Beginning with Thursday's Opening Day trip to face the Washington Nationals, who join the Mets, Atlanta Braves and Philadelphia Phillies as division contenders, second-year manager Mickey Callaway will have his chance to mold the team put together by new general manager Brodie Van Wagenen into a contender in Queens. If these Mets are to return to the level of play during their recent, brief resurgence — highlighted by the franchise's fifth NL pennant before falling to the Kansas City Royals in five 2015 World Series games — and end a two-year postseason drought, they must answer these three questions during the course of the 2019 regular season. The Mets were barely better than the worst-hitting team in the NL, Philadelphia, a season ago; they bested Philly's batting average by .0004. What better way to improve at the plate than to acquire one of the best hitters of this generation? That's what the front office did when it landed second baseman Robinson Cano, along with All-Star closer Edwin Diaz, in exchange for a package of prospects and underachieving veterans Jay Bruce and Anthony Swarzak. Cano, 36, who starred for the crosstown rival Yankees for a decade before inking a lucrative contract with the Seattle Mariners after the 2013 season, is a career .304 hitter with 311 home runs and 1,233 RBIs. Known for his durability, he will likely tally his 3,000 career hit with the Mets before his contract expires after 2023. Cano arrives with baggage, though. He was suspended 80 games last year after violating Major League Baseball's performance-enhancing drugs policy. Still, it's noteworthy that he returned from the ban to post a .317/.363/.497 slash line in 41 games, compared to a .287/.385/.441 over 39 pre-suspension games. Joining Cano is veteran catcher Wilson Ramos. 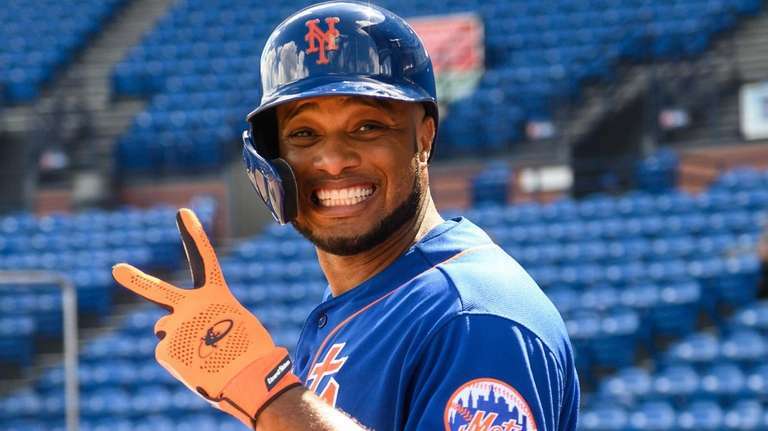 The 31-year-old, who inked a two-year deal this offseason to come to Flushing, was named an All-Star with the Tampa Bay Rays before finishing the season in Philly, where he batted .337 against after a July trade. Even a subpar season from Ramos should lead to better production than the .208 average posted by Mets backstops a year ago. Much of the remaining projected Opening Day starters are 26 or younger. Outfielders Brandon Nimmo (.263/.404/.483) and Michael Conforto (team-leading 28 HRs and 82 RBIs), both 26, were the most productive returning starters from a year ago. Amed Rosario, 23, and Pete Alonso, 24, are considered the future of the Mets' infield, with Rosario performing well in 2018 and the powerful Alonso forcing the issue of his major league arrival this year. Optimists project the latter as a Rookie of the Year candidate. The other major offseason addition to the lineup, versatile third baseman and 2018 All-Star Jed Lowrie, likely will start the season on the injured list. Returning corner infielder Todd Frazier also is hobbled entering the season, opening the way for Jeff McNeil, 26, to start at the hot corner. Meanwhile, erstwhile star Yoenis Cespedes continues to work his way back from surgery on both heels and won't play before the All-Star break — if he sees the field at all in 2019. Is their rotation the best? Starting pitching has been the Mets' strength for years, and 2019 will be no different. Jacob deGrom continues to anchor this staff after winning his first Cy Young Award and coming to terms on a five-year contract extension. He's joined by Noah Syndergaard and Zack Wheeler to form one of baseball's top trios of righthanded starting pitchers. Over a combined 553 2/3 innings pitched last year, the three cumulatively posted a 2.60 ERA, 1.07 WHIP, 9.8 SO/9 rate and 4.3 SO/BB ratio. The top hurler in this three-armed monster, deGrom, finished with a 1.70 ERA that ranks for a season sixth since MLB lowered the pitching mound by five inches in 1969. Of course, these three can only make about 60 percent of the Mets' starts, at best. At least to start 2019, the Mets will turn to lefthanders Steven Matz and Jason Vargas. Neither can be expected to hold up over the full season, given both have had issues with durability. Matz, who finally reached 30 starts in a season last year and finished with a 3.97 ERA, has yet to be consistent at the big league level and hasn't pitched well this spring. Journeyman Vargas was limited to 20 starts in 2018 and pitched to a gruesome 5.77 ERA in his first season as a Met, just one year removed from his first All-Star nod with Kansas City. If the Mets are in the thick of the playoff race before the July 31 trade deadline, don't be surprised if the aggressive Van Wagenen looks to fortify the back end of the rotation and swing a deal. Can the 'pen hold leads? The 2018 Mets are proof positive that elite starting pitching isn't enough in modern baseball; a team needs competent relievers, too. No team in baseball posted a greater disparity between starting pitching ERA and relief pitching ERA than the Mets (3.54 to 4.96). An overhaul was necessary. Thus, the acquisition of Diaz, 25, who led the majors with 57 saves to go along with a 1.97 ERA for Seattle and finished eighth in AL Cy Young Award balloting. If he transitions well to the NL, he could prove to be the most valuable offseason addition of all. Also back in Queens is Jeurys Familia (3.13 ERA in 2018), whom the Mets sent to the Oakland Athletics last July to acquire prospects. He'll serve as the setup man after several years as the Mets' closer. Returning Seth Lugo will be counted on in the middle innings after making an impressive transition from the rotation to the bullpen (2.30 ERA in 49 relief appearances). Gone are the maligned Hansel Robles and A.J. Ramos, who failed to get the job done in Queens. Callaway instead will call upon lefties Justin Wilson and Luis Avilan, both of whom are new to the team.